Slice off the tip of the vegetable stems. Separate leaves from the stems by cutting about ¼ from the stems as shown above. Cut leaves into equal parts. Rinse vegetables thoroughly and blanch stems in boiling water. Drain well, and transfer to serving plate. Heat oil and sautéed garlic till fragrant. Add vegetable leaves, ginger, and empty the entire can of abalone into wok. (If you prefer less sauce, just pour half the liquid and keep the rest in an air-tight container for your next cooking session). Mix well and add seasonings. Let it simmer for couple of minutes. 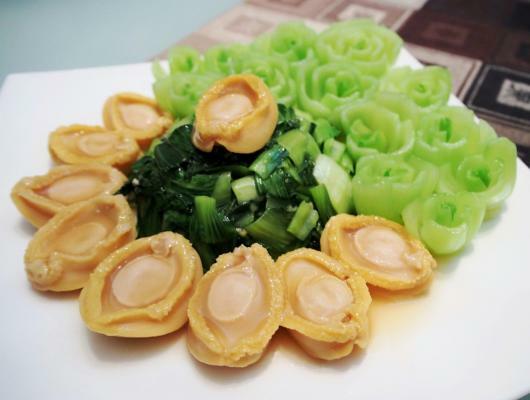 Stir in cornstarch and serve your delicious Chinese New Year Baby Abalone with Bok Choy! Of late, many restaurants have come up with an innovative way of cutting vegetables, turning them into pretty flowers. The good news is, they are not difficult to make at all. 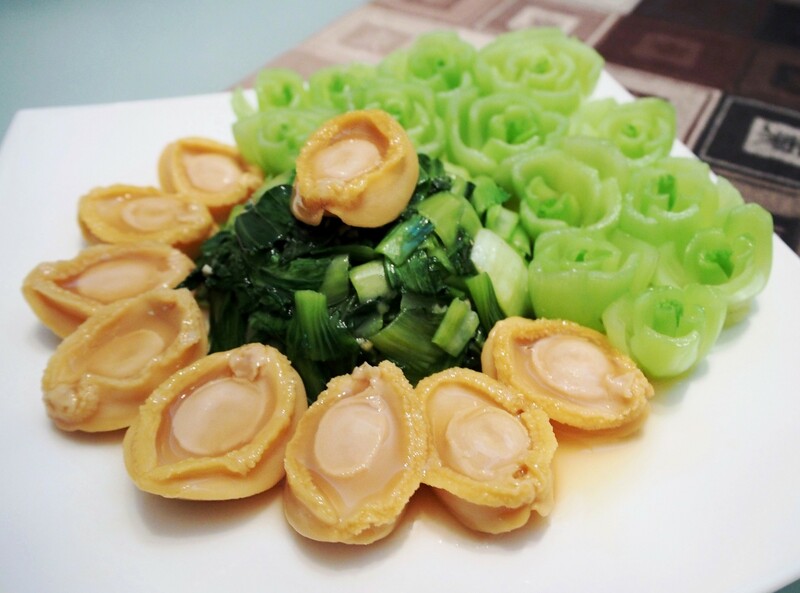 I have paired the Bok Choy with the lavish Baby Abalones, turning the simple dish into a classy one.